The Eta Gamma chapter of Alpha Delta Pi hosted the third annual Run for Ronald 5k and One Mile Fun Run on Saturday, March 28. 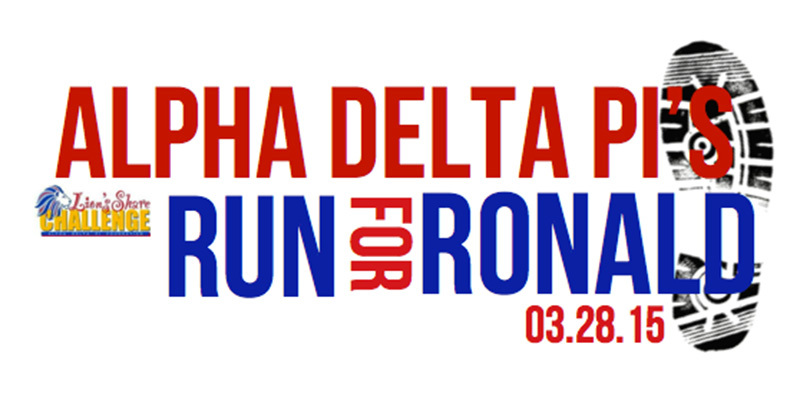 Run for Ronald is a philanthropy event Alpha Delta Pi has been involved with since 1979, and the Eta Gamma chapter has held it since 2012. The event helps raise money for the Ronald McDonald House Charities. The Ronald McDonald House is a place where families reside while their children are being treated for cancer. The Eta Gamma chapter visits Ronald McDonald House in Nashville, Tenn., once a month to clean and cook for the families who currently live there. As another way of helping, the chapter also collects can tabs for them. Eta Gamma president Kaila Bivens said she thought the event was outstanding. Overall, the chapter raised $8,300 from the event. Run for Ronald will be held again in the future to continue to raise awareness and money for the Ronald McDonald House. Prior to the 5k, chemical engineering major Levi Lane said he was enjoying the atmosphere, looking forward to exercising and getting to know new people.